Decided to play with some droplets and my macro lens. 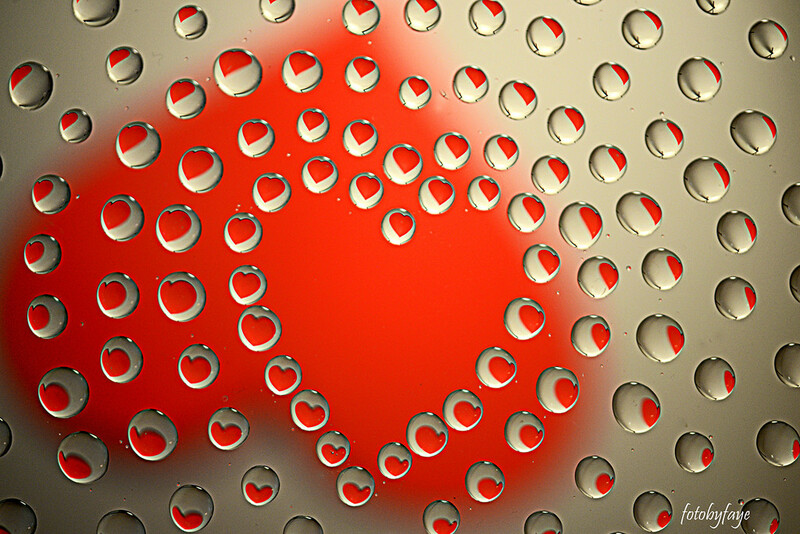 I put the droplets into a heart shape and then cut and placed a heart underneath so all the droplets would have a heart in them. Well thought out, it's a great result. Excellent result. This could be a Valentine card for next year. What?!!! This is crazy good! A superb shot. SO creative! Fav! The lay-out is fantastic - what a creative idea - and it worked so well. Very cool. I'll have to try this.